Gillingham Archives | monaxle: bike behind! 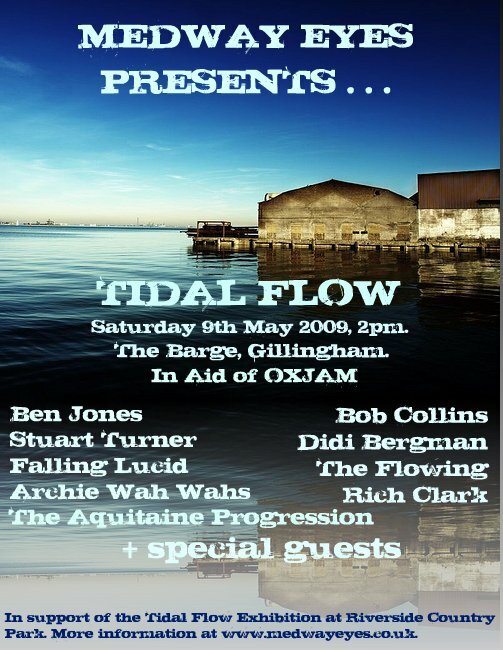 Medway Eyes Presents… Tidal Flow – The Gig, originally uploaded by sweet fanny adams. Cool pictures. Great line up. Top pub. We’re really looking forward to this one. Its gonna’ be flood!!! Posted in life and tagged archie wah wahs, Ben Jones, bob collins, didi bergman, falling lucid, Gillingham, Kent, Medway, Medway Eyes, music, photography, rich clark, stuart turner, the aquitaine progression, The Barge, the flowing, tidal flow.